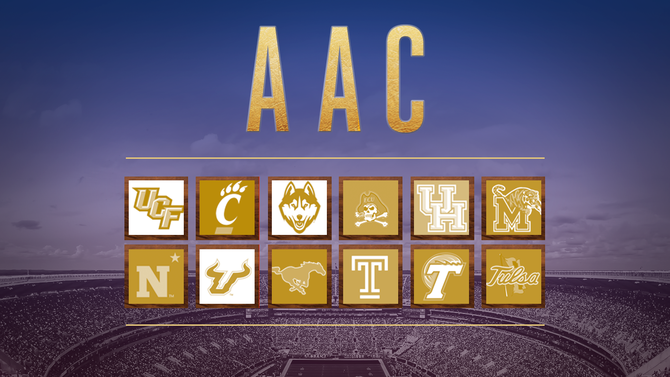 The AAC prides itself on being a “Power 6” program, and it showed its power in 2017. UCF ran the table, topped Auburn in the Chick-fil-A Peach Bowl and elevated the conference to a height that it hasn’t enjoyed since conference realignment. 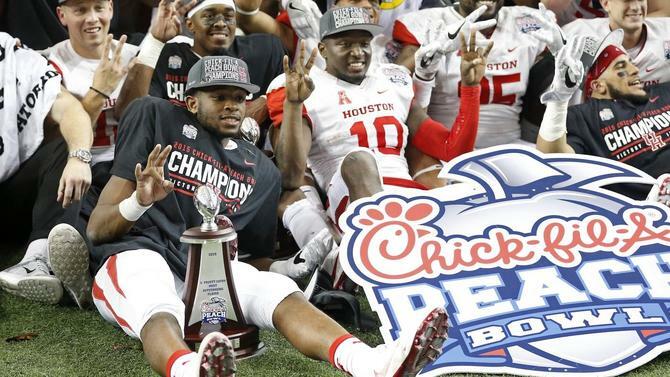 Which year has been the best for each AAC team? Let’s check it out. The 2009 season capped off a streak of three straight 10-plus win seasons for the Bearcats under Brian Kelly. They beat four ranked teams (No. 24 Oregon State, No. 21 South Florida, No. 23 West Virginia and No. 15 Pitt) en route to an undefeated regular season and a berth in the Sugar Bowl against Florida. The Bearcats were led by quarterback Tony Pike, but Zach Collaros filled in nicely in the middle of the season after Pike was sidelined with an injury. Wide receiver Mardy Gilyard had 11 touchdown receptions, two kickoff returns for touchdowns, one rushing touchdown and one punt return for touchdown on the year. Did you know? Cincinnati was the first team from a BCS conference to finish undefeated and be left out of the BCS Championship Game since Auburn in 2004. They finished the regular season ranked No. 3 in the BCS standings, and had Texas not hit a game-winning field goal to top Nebraska in the Big 12 Championship Game, could have moved on to play for the national title. The Pirates have had a few years of moderate success, but nothing compares to the 1991 squad. After dropping the season-opener, coach Bill Lewis’ squad ripped off 11 straight wins — including at No. 15 Syracuse, vs. No. 23 Pitt and at Virginia Tech. Led by linebacker Robert Jones and quarterback Jeff Blake, the Pirates topped NC State in the Peach Bowl to cap off the only top 10 finish in program history. Did you know? The 1991 season marked the second time in program history that the Pirates finished in the final AP Top 25. The other season was in 1983, when Ed Emory’s squad finished 8-3 and ranked No. 20. Those are the only two seasons in which East Carolina has finished ranked. The Cougars have finished with better records than it did in 2015, but no season in program history compares to the season they re-emerged on the national scene. Under first-year coach Tom Herman, they rattled off 10 straight wins to open the season. Their only loss occurred on Nov. 21 to a UConn team that finished 6-6 in the regular season. Dual-threat quarterback Greg Ward thew 17 touchdowns, topped the 1,000-yard mark on the ground and emerged as one of the most electric players in college football. They finished off the season with an emphatic 38-24 win over No. 9 Florida State in the Peach Bowl. Did you know? Houston had a more prominent NFL Draft in 2016 than Florida State, Washington, Virginia Tech and Washington. Three Cougar players heard their names drafted, while those four FBS powers had two each. Justin Fuente’s penultimate team with the Tigers grabbed a share of the AAC title, established coach Fuente as a rising star and gave fans hope after many, many years of frustration. Quarterback Paxton Lynch wasn’t exactly stellar in 2013, but threw for 3,031 yards and 22 touchdowns as a sophomore in 2014 — a season that earned him some buzz among NFL Draft analysts. The Tigers lost three of their first six, before winning seven straight games to close the season. The Tigers topped BYU 55-48 in a double overtime thriller in the Miami Beach Bowl to close out the season. Did you know? The 10-win season in 2014 was the program’s first double-digit win season since 1938 when it was called West Tennessee State.